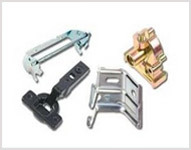 Zinc Electroplating is one of the most common forms of electroplating and popular because of its relatively low cost, protective nature and attractive appearance. The coating done through this process gives corrosion protection to ferrous components and it can give colors like gold, black or olive drab finish, by post treatment. 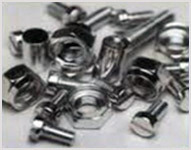 The zinc electroplating process can be used to coat nuts, bolts, washers and automotive parts, such as interior components and gas filters. 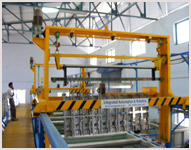 It also provides an effective undercoat for paints, when high corrosion performance is required. 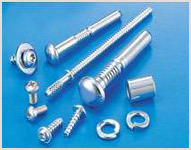 The most widely used zinc plating solutions are acid chloride, alkaline non cyanide, and cyanide, and the most widely used zinc alloys for electroplating are zinc-nickel, zinc-cobalt, and zinc-iron. 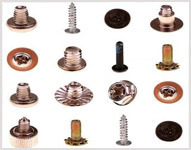 Any metal can be plated through the zinc electroplating process, but the most common are steel and iron, on which the process offers sacrificial protection. Zinc is a bluish-white deposit, which serves as a decorative and inexpensive protective metal with the following advantages: Acts as a coating against atmospheric corrosion of iron and steel parts Zinc coatings prevent oxidation by forming a barrier and acting as a sacrificial anode when the barrier is damaged Zinc oxide is a fine white dust that prevents the breakdown of the substrate's surface integrity as it forms. 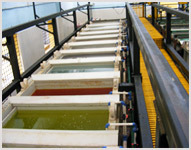 On the commercial scale, zinc electroplating is done by the following steps. acid, in order to remove any rust or surface scales. 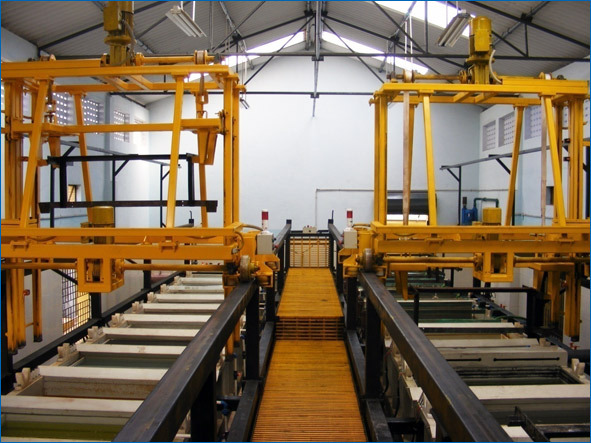 Cleanliness is essential for successful zinc electroplating, as the molecular layers of oil or rust can prevent adhesion of the coating. 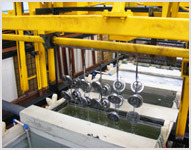 Next, the zinc is deposited on the metal by immersing it in a chemical bath containing dissolved zinc. A DC is applied, which results in zinc being deposited on the cathode. 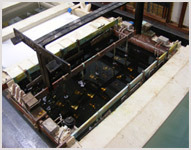 Alkaline zinc baths are used by the finished products, to produce a more consistent zinc thickness, especially in recesses.